Medium: With over 800 b/w illustrations and some colour photographs. Size (in cm): 4to: 24 x 31.7 cm. Size (in inch): 4to: 9.46 x 12.49 inch. Antique Book, titled: 'Watermarks 1650-1700 found in the Zeeland Archives', by: Theo & Frans Laurentius. 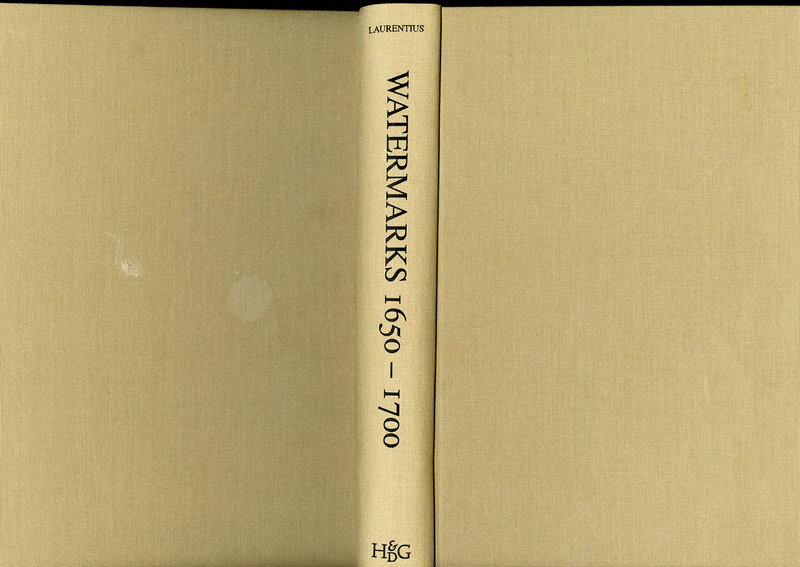 A catalogue of 794 watermarks, all illustrated with rontgen photographs. Some of the watermarks shows various variants. A table before the catalogue supplies bibliographical details about the watermarks. This guide is quickly becoming a standard work for European watermark research and identification, as the rontgen scans like no other mehod give detailed images for comparison.